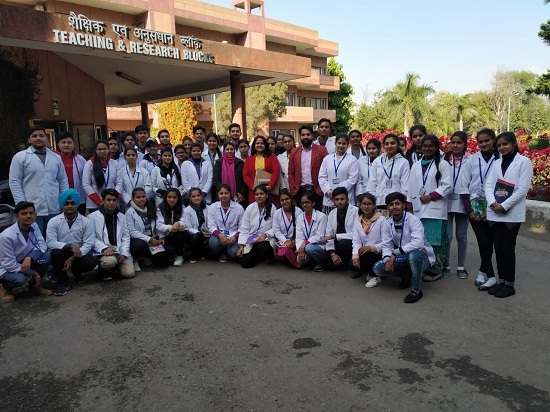 RBIP, Hoshiarpur, organised an Industrial Visit to NIPER (National Institute of Pharmaceutical Education & Research), Mohali for B. Pharmacy 2nd semester students on 24/01/2019. 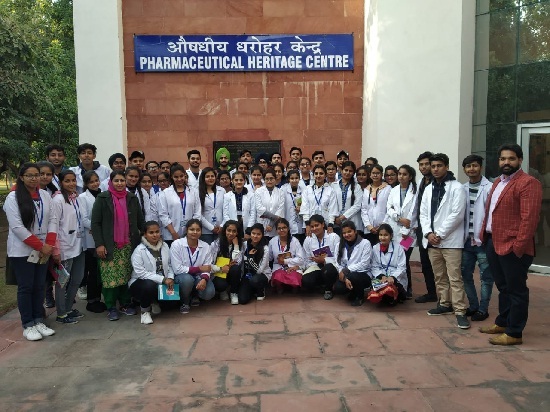 They visited various labs, departments and research centres of NIPER, the premium Pharmacy Institute in North India and they collected information. Total students attended the visit are 55 in number along with two faculty members (Mr. Gurbachan Lal & Ms. Jaspreet Kaur, class in-charge). Transport facility was provided by the campus. *Associate Prof. Manoj Katual coordinated the event along with Ms. Vijay K. Sharma (PRO, NIPER, Mohali). RBIP Hoshiarpur is extremely grateful to the Director, Dean (Prof. P.V. Bharatam) and all concerned officials of NIPER for permission & support. The response from students was overwhelming. Some glimpses of the event.